While stocks last we have signed copies of Into the Fire available to buy online, and from our shops. Please note that signed copies are limited. A literary trend I’m enjoying very much is the novel focusing on the tribulations of female friendship. Think Elena Ferrante’s Neapolitan Quartet; Marlena by Julie Buntin; The Burning Girl by Claire Messud and Give Me Your Hand by Megan Abbott. In these novels, the narrator has often arrived at a traumatic event or point of reckoning with a close friend and so retraces the relationship to make sense of events. 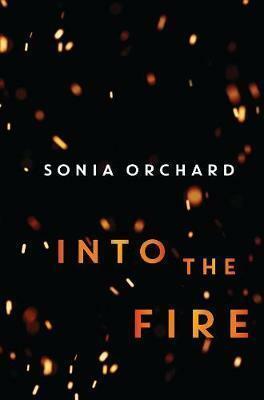 At the beginning of Sonia Orchard’s Into the Fire, we know Lara’s friend Alice has died in a mysterious house fire, leaving her partner and three children behind. We then learn of Lara and Alice’s burgeoning friendship at the University of Melbourne in the early nineties. These chapters were some of the best for me – capturing time and place with Garner-esque recall and tenderness. Alice and Lara bond in their Women’s Studies classes; they chat into the night and challenge each other personally and politically. Lara gradually sees the world differently and develops ambitions for herself she would never have imagined in her suburban life. When the charismatic ‘Crow’ (short for his surname, ‘Crowley’) appears on campus, he is adored for his carefree attitude and rock-star looks. Both Lara and Alice fall under his spell, but it is Alice who enters a relationship with him. It is then that the first cracks appear in Lara and Alice’s friendship. Crow is an intense brooding man, and before long Alice is pregnant and living on the coast with him. Orchard succeeds in making this novel about ideas, not just characters. Focusing on a period of fifteen years, she examines how one’s values and ambitions change. Her characters are women attempting to balance work, study, travel, relationships and motherhood, and Orchard demonstrates the personal cost when those roles and priorities become overwhelming. This novel is a great choice for book club discussion. Annie Condon is from Readings Hawthorn.